Phosphate plays a big role in reef keeping. Understanding how it works in a reef aquarium will help you grow beautiful corals and keep a pristine tank. With too much phosphate, you will have algae problems and your corals will suffer. On the other hand, if you get overzealous and maintain zero phosphate for an extended period of time, your corals and other important organisms in your reef aquarium will starve. Today we are going to explain the various causes and methods of controlling phosphate in a reef tank. The most popular (and MD staff preferred) method of lowering and maintaining phosphate levels is using Granular Ferric Oxide (abbreviated as GFO) in a media reactor. GFO is a type of filter media that slowly absorbs phosphate. Using GFO inside a media reactor ensures even water flow, prevents clumping and provides maximum contact time with the media. In aquariums with high phosphate levels, GFO media can quickly become exhausted—in as little as 2-3 weeks or even faster. However, once the phosphate level is under control, GFO media can last up to 3 months. What makes GFO so great is that it absorbs phosphate slowly and will not shock your system or the animals living inside it. It is important to note that using GFO can increase precipitation, which may cause a drop in alkalinity as well as a small drop in calcium, so be sure to test your water parameters regularly. Another popular phosphate removal media is Aluminum Oxide, which is present in media like SeaChem PhosGuard. 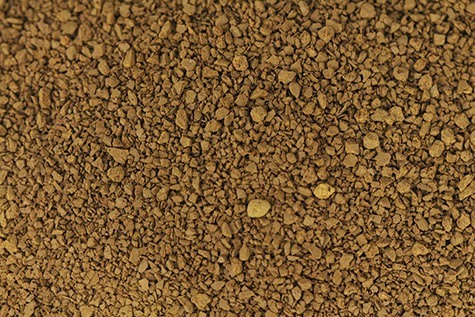 This white-colored media is fast-acting and very effective at removing phosphate. It also does not need to be placed in a reactor; simply drop a media bag into your sump or filter. Because of its fast-acting nature, you must use Aluminum Oxide with extreme caution as you can shock your corals by lowering your phosphate level too quickly. PhosGuard filter media will usually exhaust within 4-5 days. 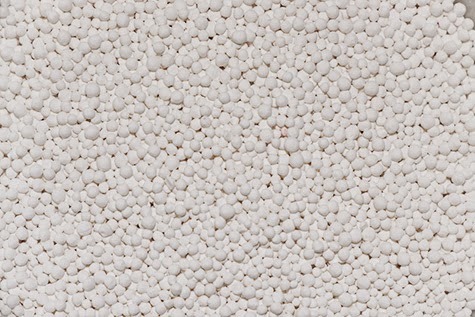 This type of phosphate removal media is great for fish-only aquariums and cases where phosphates have gotten out of control. Just be sure to use it conservatively. The third method of phosphate removal are liquid phosphate removers that are added directly to your aquarium water. A few examples are Brightwell Phosphate-E, Ultralife Reef Liquid Phosphate Remover and Blue Life Phosphate Rx. These liquids are extremely effective and fast-acting but must be used carefully. Many public aquariums use liquid phosphate removers because they are so economical. When added to aquarium water, the chemicals in liquid phosphate removers permanently bind to phosphate and then precipitate out of the water. To use these liquids properly and safely, you must first test your phosphate level. Once you’ve got your reading, you can calculate how much you want to lower your phosphate level so you’ll know how much liquid to dose. Adding too much can lower phosphate too quickly and will severely stress your corals and the biological balance in your aquarium. It is best to dose slowly, one drop at a time into an area of high flow. Temporary cloudiness is normal so dosing at night is your best bet. In addition to using media and liquid phosphate removers, there are a few other ways hobbyists have discovered that help control the phosphate level in a reef aquarium. First and foremost is identifying and eliminating the possible sources of phosphate in your aquarium. Overfeeding, high TDS (total dissolved solids) in your RO/DI water and overstocking your aquarium are some of the biggest contributors to elevating the phosphate level in an aquarium. Ensuring your protein skimmer is properly sized, performing consistently and kept clean will ensure steady removal of organic waste, in turn helping to keep phosphate at bay. 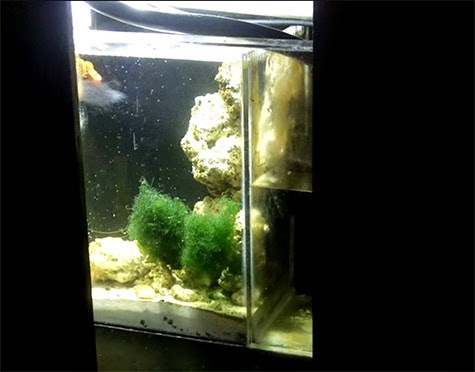 A refugium with macro-algae or using a turf algae scrubber are also excellent ways to remove phosphate because plants and algae utilize phosphate to grow and will remove it from your aquarium water. If you have a nuisance algae or red slime problem, identifying the cause and implementing a solution are your first steps toward getting things under control. With your newfound knowledge of all the various ways to control phosphate, you now have the power to keep your tank clean and free of these aquarium scourges! If you have questions about the products or phosphate control methods discussed in this article, feel free to contact our customer service team for the aquarium industry’s best support. If you found this article and the accompanying video helpful, please like and share them with your fellow hobbyists. Don’t forget to subscribe to our YouTube channel to stay up-to-date with all our latest videos. Thanks for stopping by and until next time… take care and happy reef keeping. 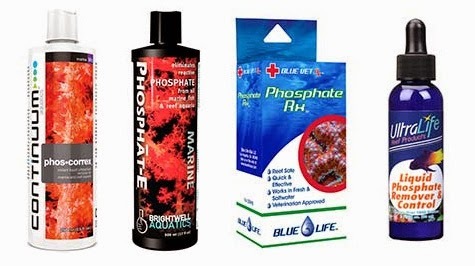 4See all the phosphate-related products available at Marine Depot. 4Get our free email newsletter for hot deals, how-to’s and expert tips. 4Subscribe to our YouTube channel so you never miss an episode.